“What’s next for content marketing?” As modern marketing practitioners, no matter how focused we are on today’s pressing challenges and opportunities, we can’t help but keep an eye on what the future might bring. The dynamic nature of the digital industry means we can never let ourselves get too comfortable or too complacent when it comes to creating meaningful content experiences. Consumer trends, behaviors, and informational needs are always shifting. Our role isn’t just to build strong, trusting customer relationships now but to serve as true agents of change – enabling our brands, our strategies, and our stories to evolve along with them. When it comes to carving a fresh and future-focused path, we can all learn a few lessons from the winners and finalists from this year’s Content Marketing Awards. Each one has demonstrated the important role content can play in embracing change – whether it’s attracting new audiences, pursuing new business opportunities, or sharing a new vision for tomorrow. Now in its 14th year, this awards program recognizes the impressive accomplishments of content marketers in categories that span strategy, distribution, editorial, and design. In all, 92 winners were selected from a field of more than 1,100 submissions. California Closets is a high-end, closet-space-management business rooted in the belief that a well-organized environment – one that’s characterized by quality, impeccable style, and custom functionality – promotes beneficial creativity, relaxation, and focus. But, despite the brand’s strong vision for bringing order to chaos, the message wasn’t getting through to its highly discerning, luxury-seeking audience members who struggled to distinguish the brand and recognize its unique value. To differentiate the brand in an increasingly competitive industry, California Closets focused on elevating its brand perception to a company that elegantly designs better lives. 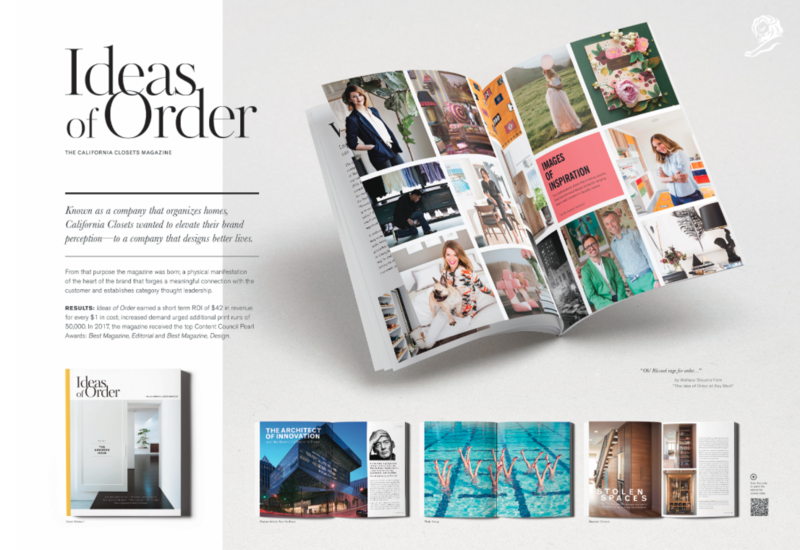 With the help of its agency, Redbird, it launched Ideas of Order – a rich, tangible content experience that crafts the brand’s assets into a celebratory showcase that illustrates how organized personal surroundings can create a sense of harmony and promote positive feelings of calm, confidence, and joy. The effort outperformed all the company’s expectations. Four weeks after its initial print run, the book was generating $42 in revenue for every dollar it spent; and the immediate increase in demand spurred two additional print runs and a corresponding microsite. Before taking top honors as CMA Project of the Year, the effort also received acclaim from industry press and media, as well as earning Content Council Pearl Awards and an International Award Associate’s Muse Creative Award. (Winner: Best New Digital Publication – Editorial; Best Overall Editorial – Digital. Finalist: Project of the Year; Best Health Care/Medical Publication) HIMSS is a global, not-for-profit organization that was looking to strengthen its leadership position as an influential patient-health advocate. 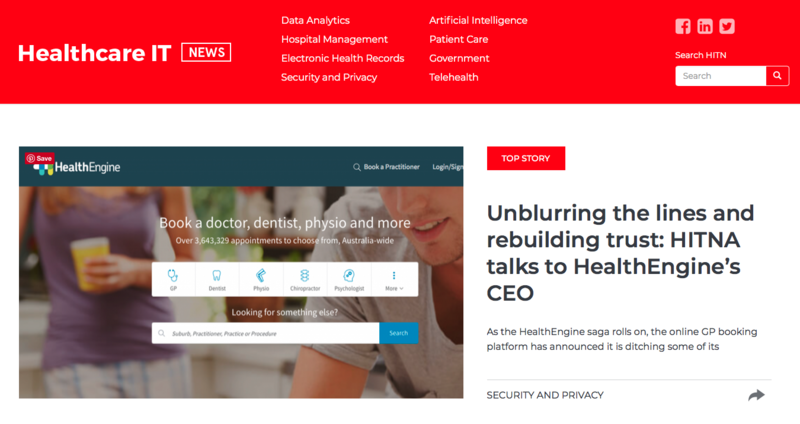 Upon identifying a critical information gap in Australia’s health care IT industry, it seized an opportunity to lead the conversation by launching Healthcare IT News Australia (HITN) – an authoritative resource on the people, policies, and technologies driving the next generation of health care. HITN Australia’s daily news content helps its audience implement cutting-edge technologies, instigate best-practice cybersecurity, and run more cost-effective organizations, all of which ultimately contribute to maximized patient care and improved outcomes. But it’s how HIMSS approaches content improvement through analytics that truly stands out, enabling it to continually refine its key audience segments, content pillars, and topics, as well as its use of distribution channels like social media. For example, since the HITN site launch in 2017, HIMSS and its content agency, Mahlab, have built a Facebook audience from the ground up, exceeding growth targets and the audience size of its main Australian competitor by 267%. Collectively, HITN’s content hub has attracted more than 90,000 users; sparked thousands of reactions, comments, and shares; and even put HITN’s editor on the map as an influential speaker at industry roundtables and conferences. Another shining health-focused example comes to us via Be Vocal: Speak Up for Mental Health. The nonprofit organization partnered with award-winning documentarian Shaul Schwarz to launch Beyond Silence, a 29-minute documentary that takes a novel approach to discussing mental health. The film follows three people living with mental illness, honestly portraying their personal struggles, yet placing the greater emphasis on how their lives have been positively transformed by their decision to speak out about those struggles. Media outreach resulted in 242 articles and an estimated 416 million impressions, with top-tier coverage from The Ellen Show, Allure, and Vanity Fair. 138,000 users tuned in to the Beyond Silence screening livestream and post-screening Q&A on Huffington Post Live. More than 38,000 tweets included the Be Vocal hashtag: #BeVocalSpeakUp. 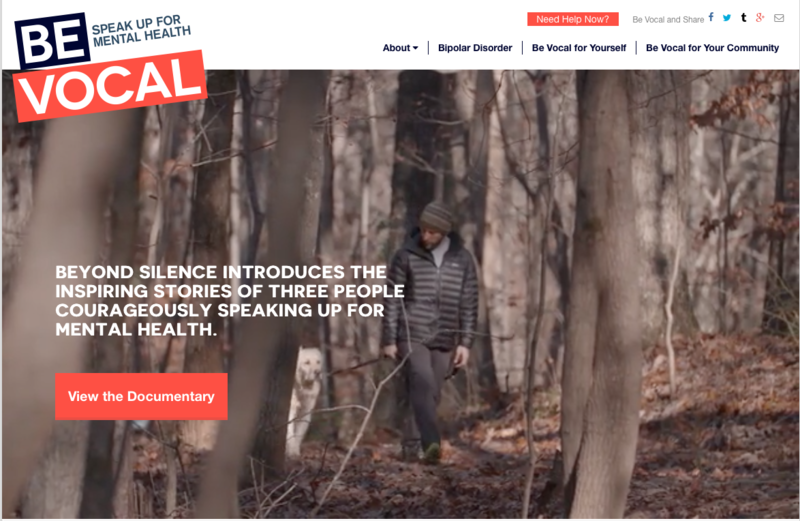 The initiative’s website, BeVocalSpeakUp, has received 102,000 visitors since the content’s launch, with 27% of visitors returning. The Federal Bureau of Prisons (BOP) is incorporating Beyond Silence into its mental health and suicide prevention training program for 63,000 staff across 130 locations. Despite its famous pedigree, Virgin Media was considered an underdog in the Irish entertainment arena, having long struggled to gain a foothold in a crowded marketplace dominated by other well-established players. Part of the problem was a disconnect in communication: The brand always believed in talking with entertainment fans, but its strong content focus on pricing updates came across as talking at them. To help the brand cut through the clutter and start to repair its customer relationships, Virgin joined forces with Zahra Media Group to launch PLAY – a quarterly, entertainment-focused magazine jam-packed with enough quality editorial features, artist interviews, interactive elements, and other desirable experiences to hold its own against any of its entertainment media competitors. Driving engagement: One reader survey indicated that 47% of readers visited the Virgin Media Ireland website after consuming PLAY content, and 20% reported that they shared something they had read in the magazine. In addition, average email engagement for PLAY is well above the industry average at a 40.5% open rate and 5% click-through rate. Increasing interest in Virgin Media products: 35% of surveyed readers said they watched a new program on Virgin TV, and 47% said they visited the Virgin Media Ireland website to learn about a product after reading about it in the magazine. 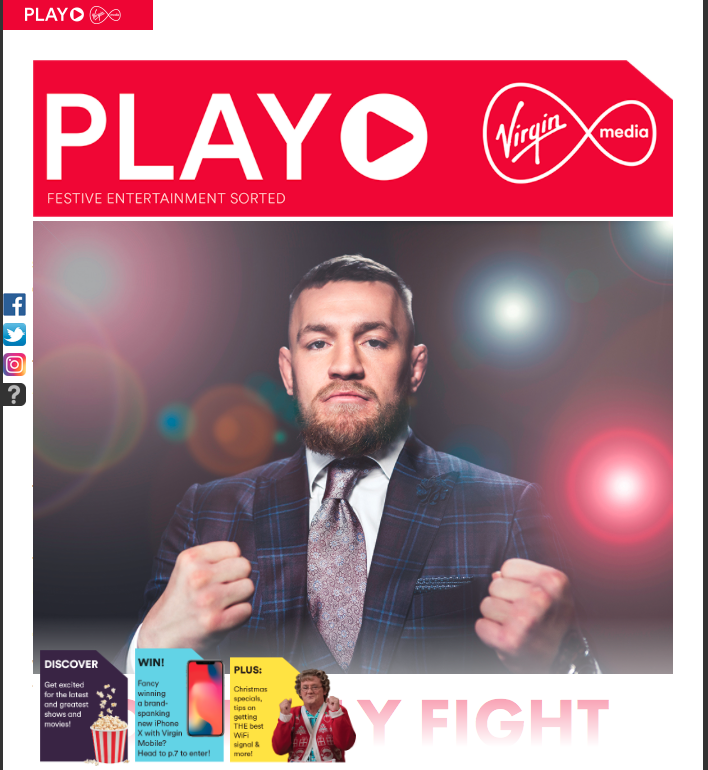 Customer satisfaction: 62% of surveyed readers said PLAY Magazine is a worthwhile benefit of being a Virgin Media customer, and 83% said they love how it keeps them up to date about Virgin Media products and services. In addition, 30% of customers felt that Virgin Media is worth paying more for (compared to the score of 24.1% it received the previous year). Qantas is Australia’s airline, as well as one of its most well-loved and trusted brands. Though a focus on business and premium travelers had brought the brand success for many years, the marketing team recognized the need to build connections with a new audience: millennials – a demographic that represents the next generation of Qantas customers. The brand began its rejuvenation efforts by partnering with Junkee Media, a leading digital publisher for millennial audiences. Through its research and experience, the Junkee team discovered an open opportunity for Qantas to build content around the intersection of travel and experience while also playing to two of millennials’ biggest stated fears: FOMO (fear of missing out) and FONK (fear of not knowing). Thus, AWOL was born – a mobile-first, social media-driven, native custom publishing media title with the goal of inspiring young Australians to explore the world. AWOL publishes a mix of content types and topics, all designed to get young Australians to stop scrolling their Facebook feeds and start planning their next travel adventure. But what makes AWOL truly stand out is its cooperative business model: The AWOL title is wholly owned by Qantas, yet it is fully managed, licensed to, and operated by Junkee Media, which is incentivized on its commercial success. AWOL beat all of its KPIs over a 12-month period, earning more than 2.9 million unique visits. It ranks among the top eight Nielsen travel websites. Its videos have received more than 4 million views on Facebook and Instagram, with a social reach of 11 million and 171,000 “likes,” comments, and shares. Taken together, AWOL’s content marketing initiatives led to year-on-year user growth of 27% and revenue growth of 24%. Winner: PM, poslovni, mediji d.o.o. Be one of the first to receive the call for entries for the 2019 Content Marketing Awards; sign up today for CMI’s weekday newsletter. 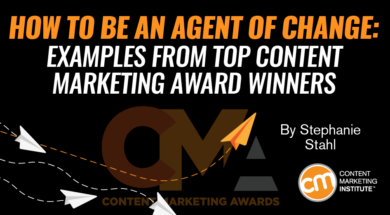 The post How to Be an Agent of Change: Examples From Top Content Marketing Award Winners appeared first on Content Marketing Institute.